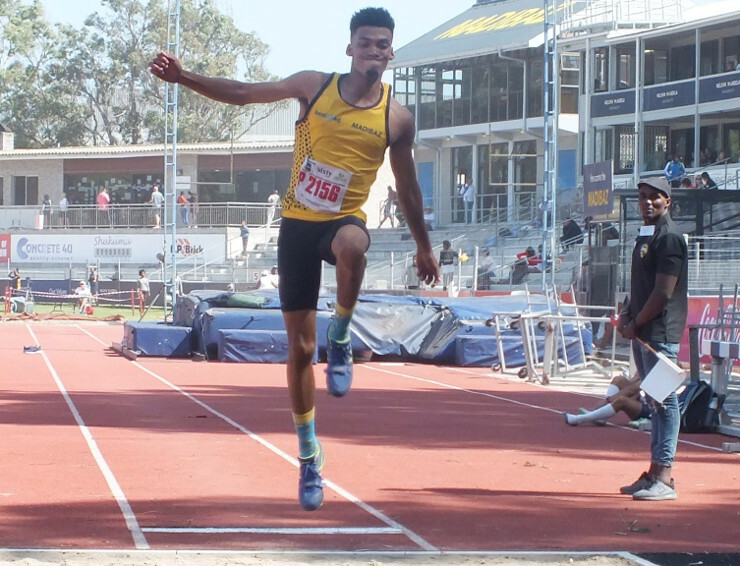 The Bestmed Madibaz Athletics Club hosted a successful meeting of junior and senior athletes in a new concept at the Madibaz Stadium in Port Elizabeth at the weekend. For the first time the club invited athletes from the PE High Schools Athletics Association (PEHSAA) to compete in a meeting which covered a wide range of age categories. Madibaz athletics manager Nellis Bothma said there had been an excellent response and that the initiative looked set to continue in the future. Prizes for the top three athletes of R500, R300 and R200 were up for grabs. In the men’s category, Remano Felix took the honours with his efforts in the 200m and 400m, earning a total of 746 points. He finished ahead of Casper Lotter (100m, 200m) on 742 and Jade Schutte (100m, 200m) on 691. Lizhare Botha led the way in the women’s track events, earning 1 387 points, followed by hurdler Lara Dippenaar (1 308 in the 100m and 400m).